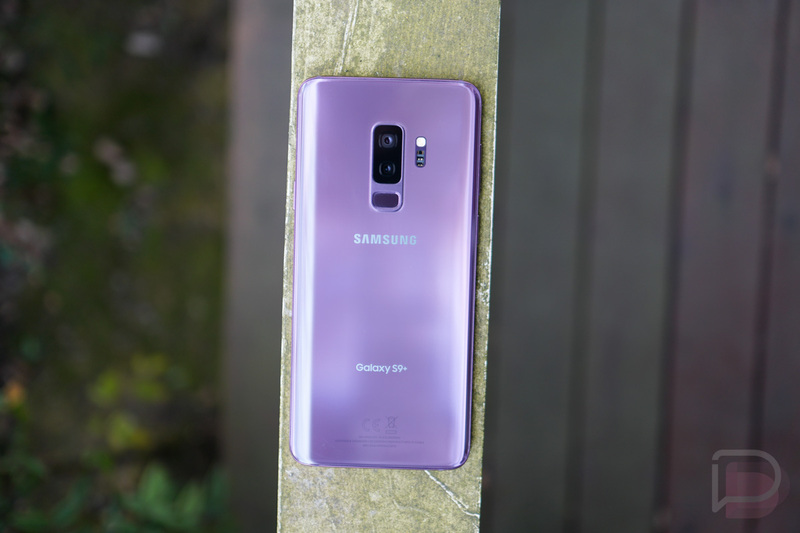 The Samsung Galaxy S9 and Galaxy S9+ arrived in stores this morning, so if you were considering one and didn’t want to pre-order, now is the time to head on in and pick one up. If you did wait, you might have made a pretty good decision too, since most US carriers are running new promos today that are either a buy one, get one free scenario or an up-to-50% off deal. Verizon, T-Mobile, AT&T, and Sprint all have deals. Verizon is running a BOGO type deal where they’ll give you $799.99 towards a second S9 or S9+ if you first buy one. In other words, they will cover the cost of a second Galaxy S9, but not the full cost of a Galaxy S9+. You see, a Galaxy S9+ runs $929.99 from Big Red, so $799.99 isn’t exactly washing that cost out and you’ll have to pay up the rest. The other details for this deal include having to activate the second phone on a new line of service. Also, the $799.99 they’ll give you for the second phone is one of those garbage bill credit scenarios where they lock you into service for 24 months in order to see the full discount. Hey, it’s cool if you have zero plans to leave Verizon over the next two years, but not that cool if you aren’t a fan of selling your life to a US wireless carrier. Additionally, you don’t need to trade anything in to get this deal, just be aware that the bill credits don’t start for 1-2 billing cycles. AT&T is running a “50%” off deal. I put that in quotes because it’s only 50% off a Galaxy S9, not the S9+. To be clear, though, you can still get a big discount on the S9+, just not the full 50%. Let me explain. AT&T is requiring that you buy either the S9 or S9+ on an AT&T Next device payment plan (they have various lengths on these things) with a new line of service. They’ll then give you a max series of bill credits over the term of that Next plan to the total of $395. You’ll need autopay and other things, plus as I just mentioned, you have to add a new line. T-Mobile is running the same 50% off deal that they were running during pre-orders. It requires a trade-in in order to get the 50% off, so yeah, it’s not that great of a deal. Sprint is doing a BOGO deal on a Galaxy S9 lease, where you lease a S9 or S9+ and they’ll get you into a second S9 at no monthly cost. You’ll need to lock-in to two 18-month leases, which means either 2 new lines or 1 new line and 1 upgraded line.